“The Times They Are A-Changin” | In Soviet Russia, Mustache Rides You! This image is an incredible chance to look at a moment in history where change was all around, generations were divided, and old and new clashed. Here a grandfather, son, and granddaughter all stand together for a picture. The grandfather is dressed in traditional Russian clothing while the son and granddaughter wear more western clothing. The cultural change in Russia occurred incredibly fast. This picture shows that change over the course of only three generations. 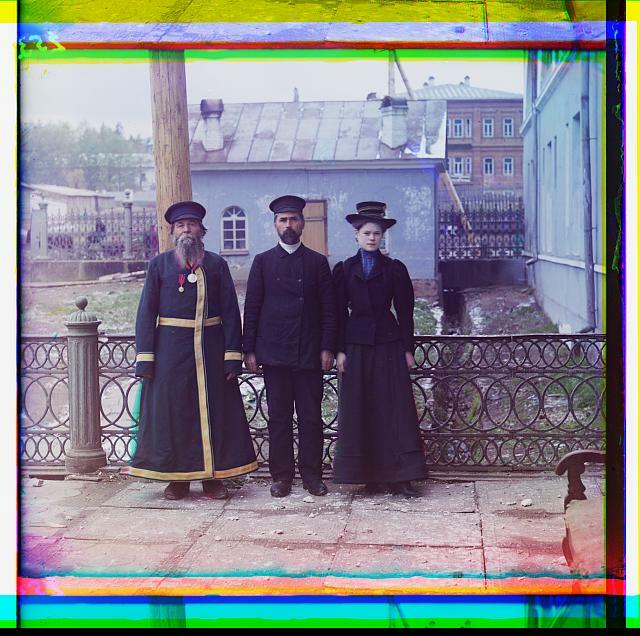 The grandfather on the left is dressed in traditional Russian garb, clearly the ethnic wear of a Russian man yet his granddaughter stands on the right in completely westernized clothing almost indistinguishable from any other European woman. Such rapid change could not come without its cost. This image shows us the divide that grew in Russian culture as the country entered the 20th century. Rapid changes in culture, industry, and lifestyles of the Russian people created a rift between those who thought Russia was changing to fast and those who thought it wasn’t changing fast enough. An internal cultural clash brewed within Russia, and its effects were not purely social. This same change in culture brought tides of political change to an inflexible Russian government. The Czars of Russia in seeking to modernize their industry also brought new ideas of governance and peoples rights. The Czar’s attempt to modernize his empire’s industry and culture was more successful and uncontrollable than he could have imagined. This modernization of industry, technology, and culture gave rise to revolutionaries throughout Russia. The Times They Are A-Changin | In Soviet Russia, Mustache Rides You!